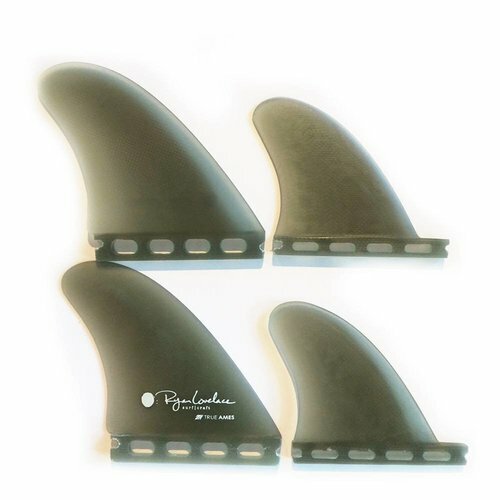 Large, raked front fins with significantly smaller stubby trailer fins. 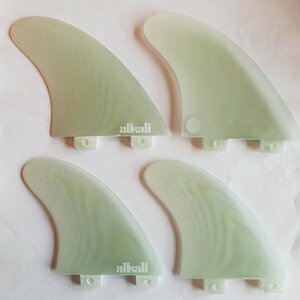 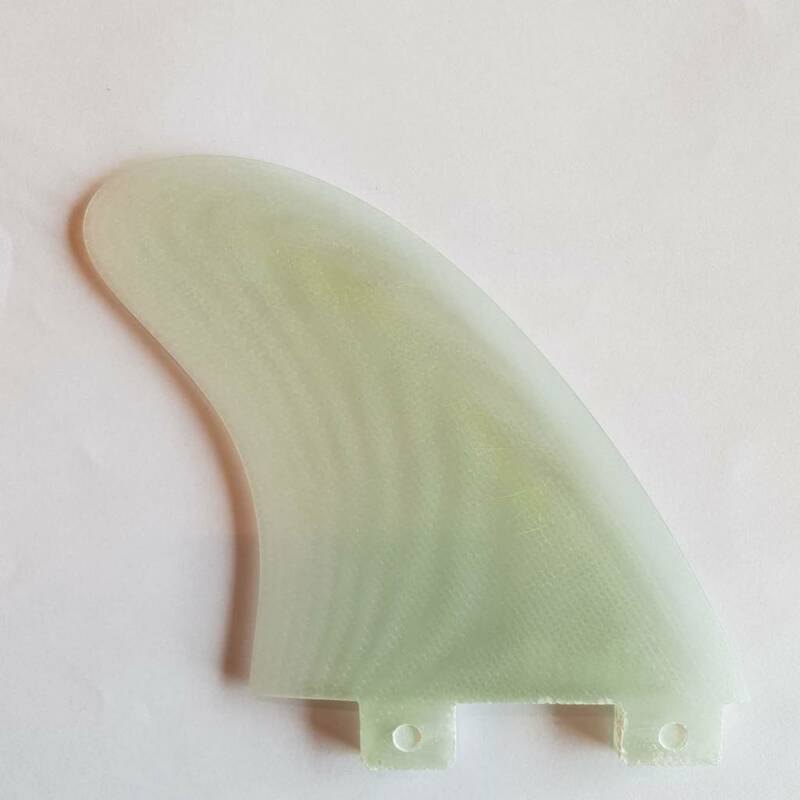 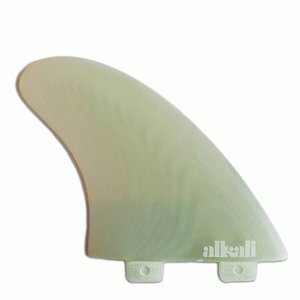 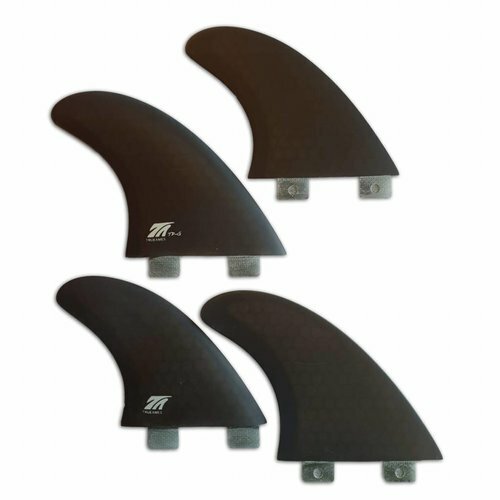 The idea behind these quads is to gain plenty of drive from the large front fins, and allow the smaller rear fins to engage through turns without causing drag down the line.Stiff base into a refined tip for the flex and responsiveness that only true fibreglass fins can provide. 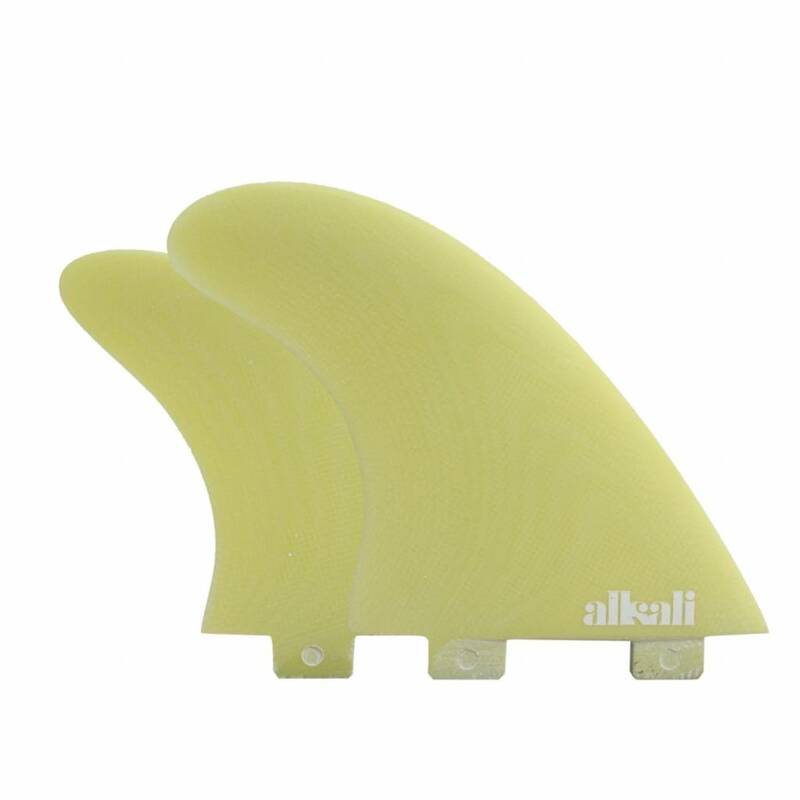 Centre foil trailer fins for silky rail to rail transition and release.